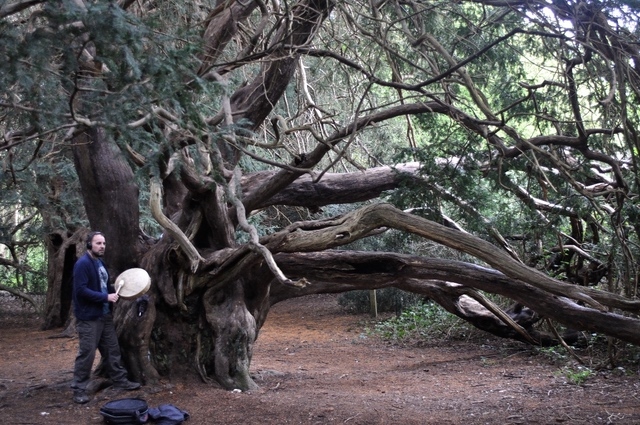 The Listeners is an on going project where I am exploring the natural soundscape of Kingley Vale National Nature Reserve, which is home to a group of ancient Yew Trees known as ‘The Watchers’. Yew Trees are indigenous British trees, decedents from our ancient woodland, often growing or planted on spiritual ground, including Celtic burial sites and Christian Church Yards. There is evidence that some of the ancient Yew trees in Kingley Vale are aged over 2000 years old, which makes them one of the oldest living organisms in Britain. 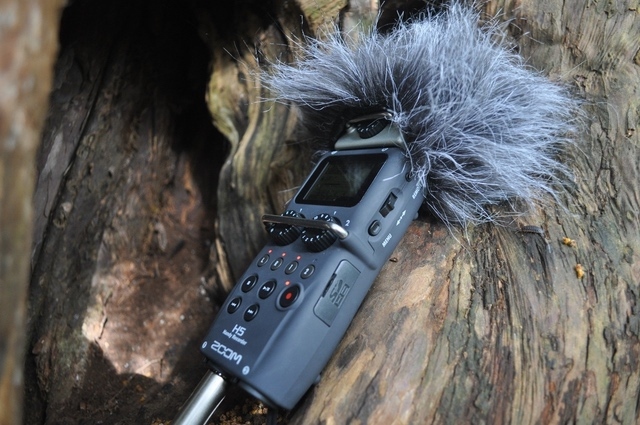 This was my fist enquiry in using audio equipment, including a contact mic, to find the invisible currents of sound beneath the skin of the tree and listen to its internal energy. To emanate ancestral awakening, I vibrate the surface of the tree with the rhythm played on a shamanic frame drum. This process is to also emirate indigenous societies with animist beliefs, creating a ritual practice of slowing the brain down to a theta brainwave in order to sense an imaginative matrix of the natural world. The repetitive beat of a deer skin drum is an archetypal sound possessing felicitous symbolism, which we have inherited from prehistory. Within Kingley Vale there is evidence of a rich ancestral heritage with remains of a Romano-Celtic temple at Bow Hill. Iron Age settlement site known as Goose Hill Camp, the Devil's Humps Bronze Age round burrows and a prehistoric flint mine. Perhaps the ancient Yew trees have preserved a physical memory they can express through sound and energy of ancestral ritual traditions. 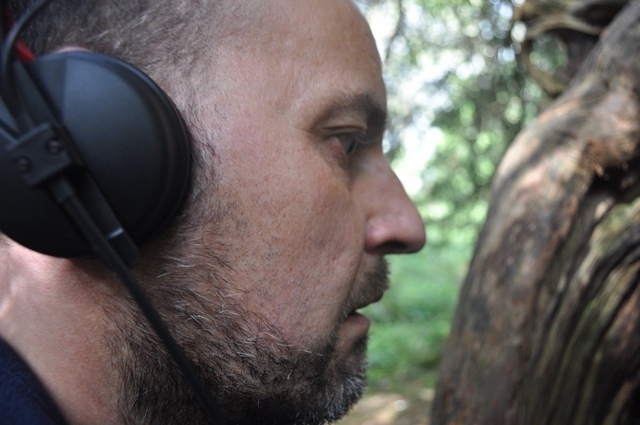 After drumming I listen to the silence, to allow the sounds of the Yew tree to permeate my biofield and skin.